We love being a local community bank. Union Savings Bank has been serving the local area since 1866. And since its inception, our mission has been to work for the benefit of the community rather than for the benefit of shareholders. Over this time, we’ve watched our community grow around us, and we take pride in having been a part of it. When you plant roots deep into a community, invest in its future and grow along with it – the dedication holds a special meaning for all involved. We’ve nurtured this feeling within our employees and spread it to our customers year in and year out. As a Connecticut community bank, we live here, work here, and play here. This is our home, and we give back every chance we get, in any way we can. And in helping to build a better community, we have found it’s helped us to build a better bank; dedicated in purpose and focused in efforts to deliver better products and services for our customers – all while re-investing into the community with grants and service. In the past six years alone, Union Savings Bank and the USB Foundation together contributed nearly $6,000,000 back into our communities, and employees have volunteered thousands of hours to local non-profits. Dedicated to our community from the very beginning. Union Savings Bank was founded in 1866 by a group of Danbury’s leading citizens including James S. Taylor, the Bank’s first President. James was a descendant of Thomas Taylor, patriarch of one of the eight original families that founded Danbury. It was their purpose to organize an institution for the encouragement of thrift and the safeguarding of the savings of their friends and neighbors. 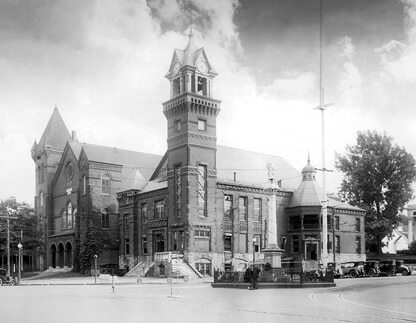 On June 20, 1866 the Legislature of the State of Connecticut authorized the incorporation of the Bank, which the founders decided should be a mutual savings institution known as the Union Savings Bank of Danbury. The Civil War had recently ended and the name, no doubt, was suggested by the preservation of the union of these United States. And, in fact, time has proven that in Union there is strength. But the word “mutual” is also vitally important in describing the kind of bank our savings bank is. The word “mutual” means we have no stockholders and that Union Savings Bank belongs to its depositors – who share in its net earnings. Another aspect of mutuality is the inherent quality of trust built into our mission. Three weeks after the signing of the incorporation papers, the Corporators of the Bank met to establish the Bank officially. It was decided that the Bank should open on July 23, 1866. The bank was first located in trustee Samuel Stebbins’ store on Main Street in Danbury. The impressive 3-story, terracotta brick structure, designed in the Romanesque Victorian style, was originally co-owned and occupied by Union Savings Bank and the National Pahquioque Bank. In 1925, Union Savings Bank expanded and now became the only bank in the building, occupying the entire first floor. The signature Tiffany-style McClintock chime clock was added in 1927. The upstairs once housed the high-school, a 500-seat ballroom, and the YMCA. Since 1983, the building has been listed on the National Register of Historic Places as part of the Main Street Historic District of Danbury. It still houses our Main Office, and is completely occupied by Union Savings Bank. In August 2018, Union Savings Bank began the process of reorganizing from a mutual savings bank to a mutual holding company with the goals of making USB stronger, preserving its mutuality and positioning the bank for future growth. In January 2019, after receiving a majority vote from our depositors and regulatory approvals, the reorganization was completed. 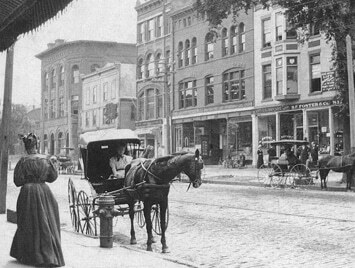 Over the years, Union Savings Bank grew steadily throughout western Connecticut. And in 2010, a merger with The First National Bank of Litchfield (FNBL), the oldest nationally chartered bank in the state of Connecticut, expanded the Union Savings Bank branch offices. FNBL was created at the birth of our country in 1814, with Benjamin Tallmadge, George Washington’s spymaster during the Revolutionary War, serving as one of the founding fathers. It remained a driving force behind Litchfield County’s growth for 196 years. The merger was finalized on April 7, 2010. Together, the resulting bank boasts over 340 years of collective banking experience and deep-rooted traditions of helping customers and communities grow and thrive. This transaction is a natural progression which will offer Union Savings Bank customers access to enhanced financial services within a broader geography, while preserving the legacy of community banking in western Connecticut. The steady growth and stability of the Bank is a tribute to the foresight of the men who founded it. The successful management of Union Savings Bank over the last 150 years, during times of achievement and prosperity as well as depression and disaster, can be credited to all of the Officers who have served since 1866, and to the public-spirited, civic-minded citizens who have served as Trustees and Corporators. It is because of this strong leadership and commitment by our employees that over the last six years the Bank and the USB Foundation have contributed more than $6 million back into our communities and volunteered thousands of hours to local non-profits. Our unwavering dedication to serve our customers with progressive banking products while making decisions that reflect our knowledge and passion for our local communities differentiate Union Savings Bank. Our record of safety, together with a reputation for progressive outlook and excellent service to customers make Union Savings Bank the bank of choice in western Connecticut. But Union Savings is a more than a bank. It is a forward-thinking institution of trustworthy, dependable advisors unified by our tradition of helping customers and communities grow and prosper financially; now and for generations to come. Union Savings Bank and the USB Foundation have contributed more than $6 million back into our communities and volunteered thousands of hours to local non-profits. The Union Savings Bank building. The original Union Savings Bank building was a wood-frame building located at 226 Main Street, Danbury. 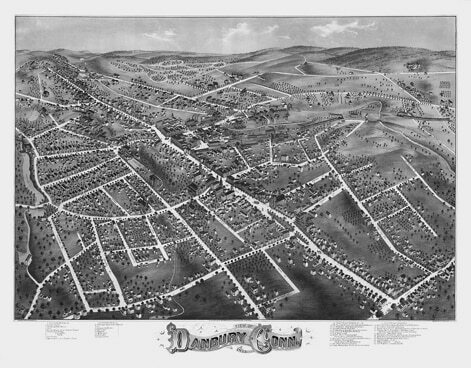 On a map of Danbury in 1855, the present location of 226 Main Street was occupied by a bank building. In 1855, the architectural firm of Palliser and Palliser of New York City proposed a two-story building with two banks on the 1st floor, offices on the 2nd floor, and a pitch roof to be used as an attic. The proposal was abandoned. Initially the building was co-owned by Union Savings Bank and the National Pahquioque Bank, with Union Savings Bank using half of the first floor via the south corner as entry, and National Pahquioque Bank using the other half with the north corner as entry. Ten independent offices were accessible from Main Street through the central entry to the second floor, and a Men’s Club was located on the third floor. The Bank building has been renovated three times, with meticulous care taken to preserve and maintain the original architectural details. In 1925, Union Savings Bank expanded and was now the only bank in the building, occupying the entire first floor. The expansion resulted in revisions to the staircase that accessed upper floors and was relocated to the north entry, and the main entry was relocated to the center of the building. The south entry was replaced by a window. Also added was the prominent Tiffany-style McClintock chime clock, located outside the main entry on Main Street. In 1970, as a result of a bomb attack and robbery, the vault and area around it needed repair. A one-story addition was built at the back of the building that included a separate entry, the ceiling was lowered with acoustic tiles and fluorescent lights, and a drive-up window was added. In 2003, renovations included raising the ceiling to maximum height, replacement of the original mechanical systems and replacement of the teller counter (keeping the style of 1925). During this renovation, pieces of frieze and molding from the original lobby were discovered and protected with Christo wrap. The building has been listed on the National Register of Historic Places as part of the Main Street Historic District of Danbury and is considered a historical landmark in the City of Danbury. Union Savings Bank is a mutual financial services organization committed to building lasting relationships that exceed the expectations of our customers and the communities we serve. This is the kind of experience you should expect in bank management. 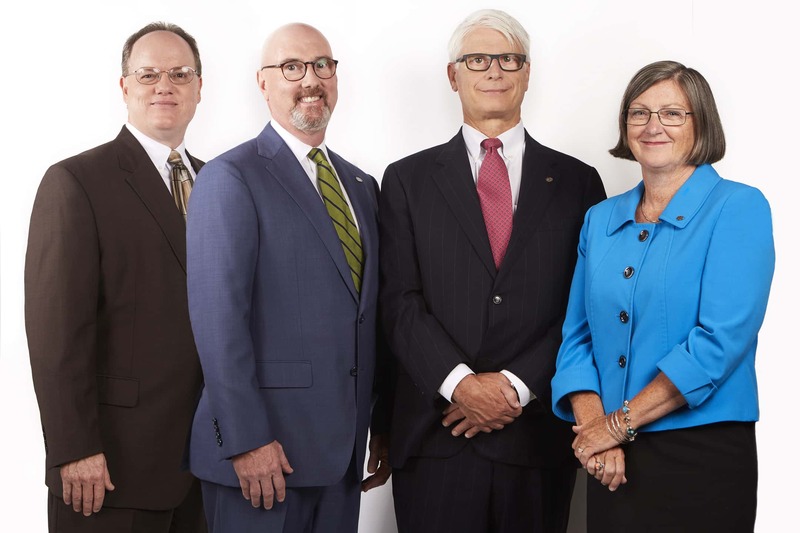 The Union Savings Bank Executive Team represents over 150 years of experience in banking and finance. From our President & CEO, Cynthia Merkle, to our CFO Paul Bruce, EVP of Wealth Management and Branches Rick Judd, our Chief Lending Officer Peter Maher, and everyone at the bank, we are dedicated to providing excellent service and financial solutions to our customers and to our community – which are often one in the same. Cynthia C. Merkle has been President and CEO of Union Savings Bank since 2014. 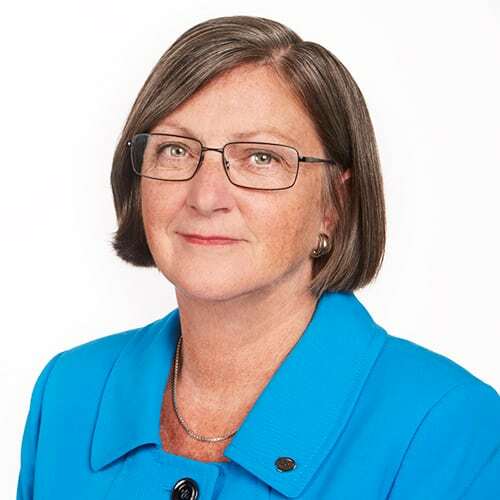 Prior to joining Union Savings Bank as COO in 2013, Cindy served as Executive Vice President at Eastern Bank – the largest independent and mutually owned bank in New England. 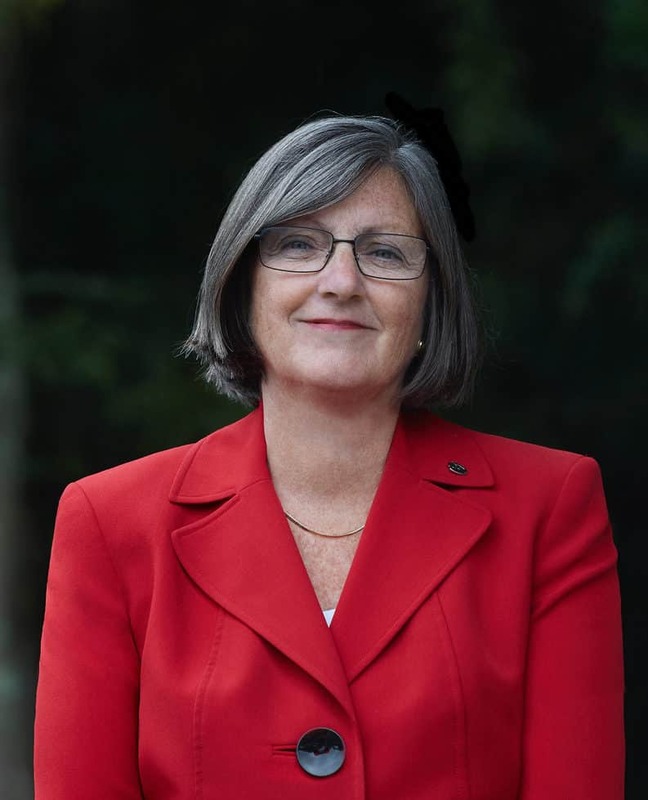 Currently Cindy serves as Chairman of the Board of Directors for the United Way of Western Connecticut; Chair of the Board of Trustees of Endicott College; board member of the Connecticut Bankers Association, as well as a board member of the Danbury Chamber of Commerce. Cindy graduated from Bryant College in Smithfield, R.I., with a bachelor’s degree in management, and holds an Associate of Science degree from Endicott College in Beverly, MA. Paul oversees Finance and Treasury activities, directs the management of assets and liabilities and maintains the investment securities portfolio at USB. He also oversees Bank Operations and General Services. Previously, Paul served as Chief Financial Officer of Legacy Bancorp, Inc. in Pittsfield, Mass., where he directed the bank’s treasury and investment programs, the company’s Asset & Liability Management function and served as the bank’s investor relations officer. Earlier in his career, Bruce served as a tax senior assistant at Deloitte & Touche in Hartford, Conn., and a tax manager at Ernst & Young in Providence, R.I. He is a member of the American Institute of Certified Public Accountants, Massachusetts Society of Certified Public Accountants, Institute of Certified Management Accountants – Springfield, Mass. chapter and the Institute of Internal Auditors. 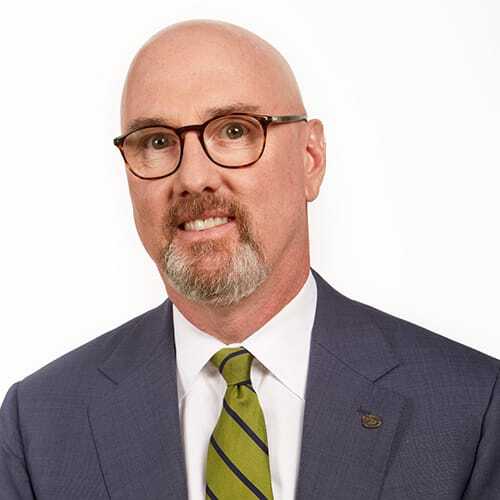 He currently serves as a member of the Dean’s Executive Advisory Council for the Ancel School of Business at Western Connecticut State University. He is also a past board member and treasurer of the Berkshire United Way. He received a bachelor of business administration degree in accounting from the University of Notre Dame in Notre Dame, Ind., a master of science degree in taxation from Bryant University in Smithfield, R.I., and a master in business adminstration degree in finance from Western New England University in Springfield, Mass. 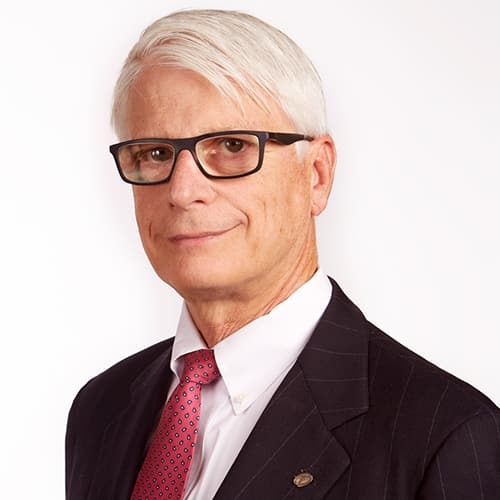 Throughout his 45 year career in banking, Peter has done it all – serving several local banks moving from teller to bank operations to branch manager to commercial lender and on the position he’s held at Union Savings Bank since 2010: Chief Lending Officer. It’s safe to say Peter knows what it’s like to work hard, having earned his degree in Finance after hours through WCSU – while working his way up through the ranks. 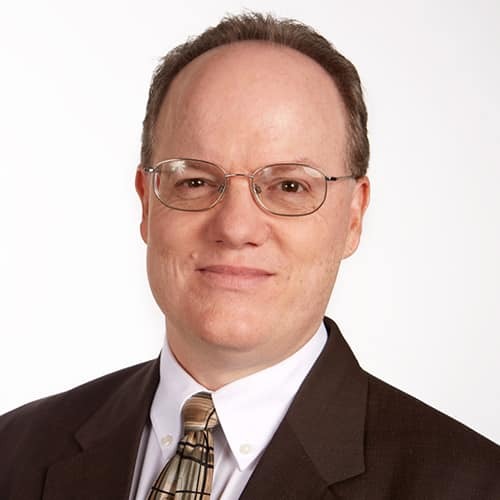 In addition to rising to Executive Vice President and Chief Lending Officer, Peter serves the community as a member of the Danbury Lion’s Club, the Finance Board of the Danbury PAL, and the Housatonic Industrial Development Corporation. Local community members and business leaders who share our commitment to the western Connecticut locale. Senior Vice President, Rose & Kiernan, Inc.
Vice President & Owner, Avon Plumbing & Heating Co., Inc.
Secretary & Treasurer, Underwood Services, Inc.
Charles R. Ebersol, Jr., Esq. CEO/Principal Owner, Miller-Stephenson Chemical Corp.
Vice President, Nicholas/Tobin Insurance, Inc.
President, Marola Motor Sales, Inc.
Vice President, McKenney Mechanical Contractors, Inc.
Assistant Vice President, O & G Industries, Inc.